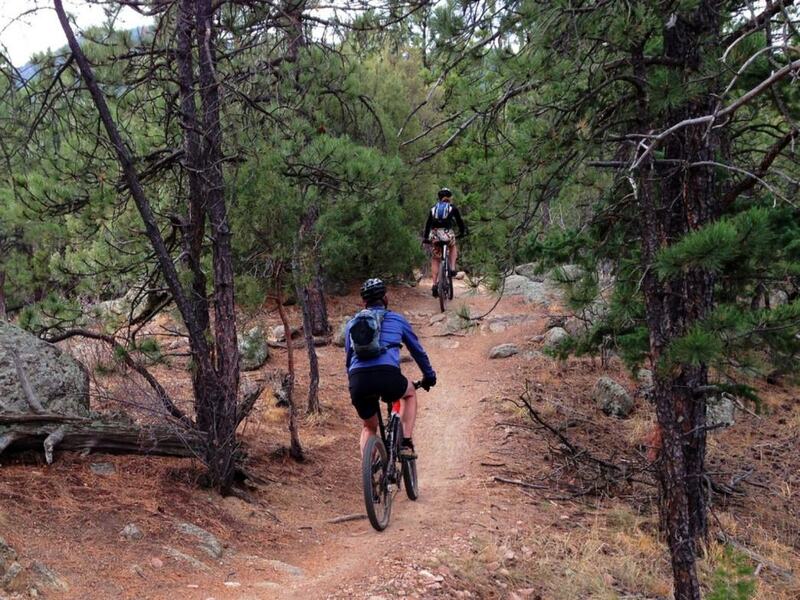 Walker Ranch provides 7.8-miles of fun, variable trail for every type of rider. 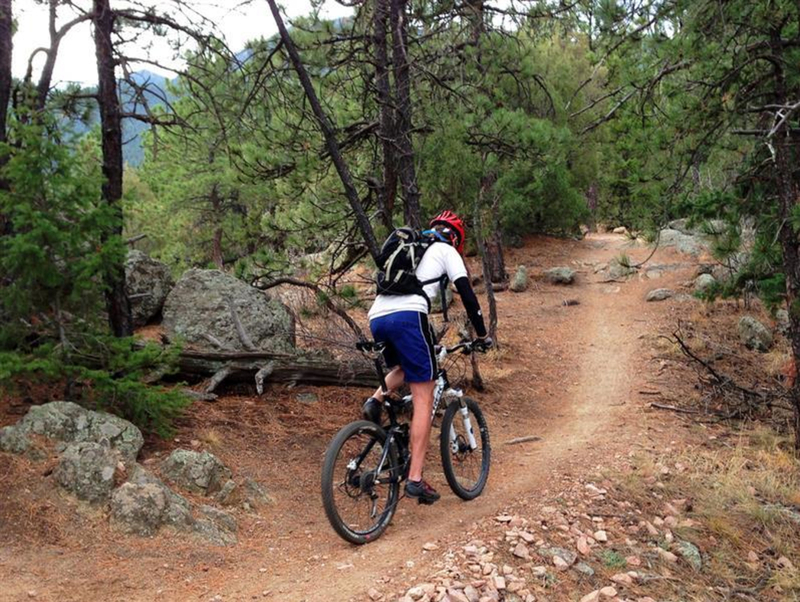 Walker Ranch’s 7.8 mile loop has written tales of great valor and ignoble defeat for many mountain bikers. Because the loop rides differently in each direction, it’s almost like you’re getting two completely different experiences. Do you start clockwise and begin with a quick series of tricky climbs followed by sharp switchbacks into the woods or go counterclockwise and blast down a steep, loose road followed by a quad-shredding climb? Either way is fun and the scenery is plentiful. Since the trailhead starts at a high point (and in the thick of a burn zone), you’ll descend into the deep forest either way, eventually riding beside the fast moving waters of South Boulder Creek. Clockwise treats you to a finish of a one mile, sustained climb on an old dirt road. Counter-clockwise is a true testpiece to finish: steep, unrelenting switchbacks with a few sinister rock outcrops to contend with. 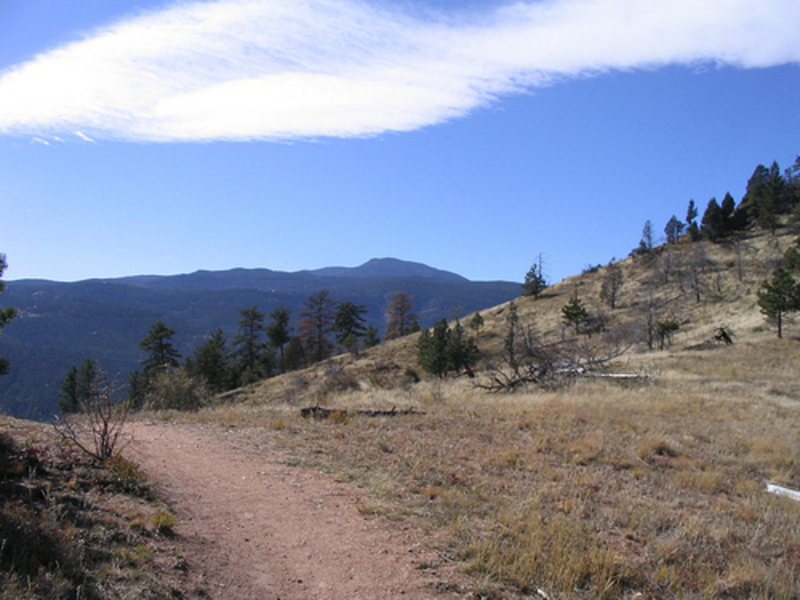 The rest of the riding is generally fast, flowing and scenic, especially on the south side of the loop The halfway point of the ride is just before the imposing staircase and hits the lowest elevation of the ride, right beside South Boulder Creek. Taking a break (or dip) in the creek is nice, be wary when the waters run fast in spring and early summer. Also, be aware riders do cruise in both directions. The bulk of the riding is intermediate, though the trail can get loose and sandy during hot spells in the summer. There are some challenging technical sections here and there, including an expert-only optional side route that parallels a brief section of the main trail (we’re talking full facemask and body-armor tough). And then there are the stairs -- a 250 vertical foot staircase that is unrideable, Danny MacAskill not included. This infamous hike-a-bike can be slippery in bike shoes and is easier to ascend (going clockwise) than to descend. Much of the trail rides fast and has a good mix of obstacles. Intermediates and experts will love the variety, though the steep climbs and abrupt obstacles may discourage beginners. Advanced riders with a taste for speed will love seeing how quickly they can run the loop (under an hour is fairly impressive). It’s a good trail for intermediates as well and while it’s not ideal for beginners, they may enjoy an out-and-back going counter clockwise to the top of the staircase and back. To reach the trailhead, from the intersection of Baseline and Hwy 93, go west on Baseline 16.7 miles. After Chautauqua Park, this is formally known as Flagstaff Road and it’s a STEEP drive! Take your time and watch out for road bikers. Eventually the hill flattens out and descends. The parking lot for Walker is well marked at a bend in the road and comes a few hundred feet after the Meyers Ranch parking (where you can also park if you want to hit up a quick access trail that connects the two ranches). Please leave Fido at home; while dogs are allowed on leash, bikes move quickly and the creek is more dangerous to pups than it may initially appear (a winter hike with your dog is a nice option, once the bikes are gone).